Beautiful cool cotton dresses with exquisite detailing and luscious colours to take you anywhere in style. 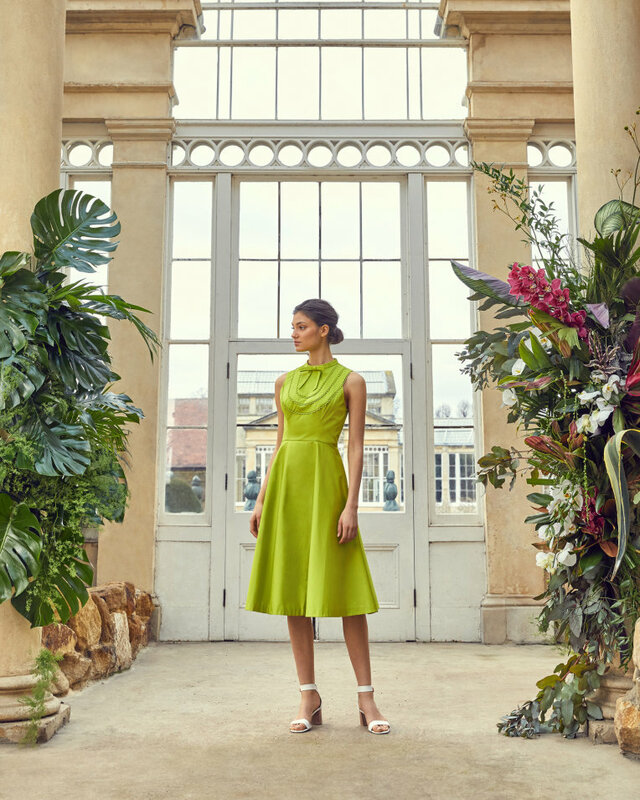 These cotton dresses from Ted Baker make warm weather dressing easy just pick your style and add your accessories and your ready day or night …. A light and pretty summer style, VIIOLET comes crafted from cool cotton and boasts intricate embroidered cut-outs at the bust and hem. The perfect pick for balmy summer parties, this petal-powered beauty makes dressing up a breeze. Breeze into the new season with Ted’s BRIIOLA dress. Part of the Cottoned On collection, this sleeveless style comes with a full skirt that’s perfect for twirling, lace-embroidered bib detail and elegant neck tie. Ted makes warm-weather dressing easy breezy with the KALLII dress. Made from crisp cotton and trimmed with the feminine lace cut-work, this effortlessly elegant piece will bring a soft, feminine touch to your summer wardrobe.